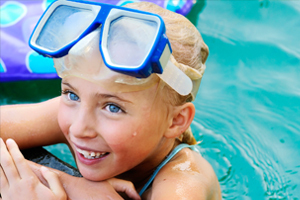 Maintaining your pool on a daily and weekly basis is fairly straightforward, but highly individualised depending on the type of pool you own, the climate where you live and a range of other factors. The monthly pool service routine is no different. However, it is worth contacting your local pool service engineer for advice on which tasks to perform and how often. It may be that you decide to leave it to the professionals. If you decide to take charge of your own monthly service routine, here are a few simple steps that will ensure your pool remains healthy and clean to use. If you’ve been monitoring and adjusting your water levels accordingly, there should be no problems with the water in your pool. However, by taking a sample of pool water to your local pool specialists, you should be able to get a full and comprehensive analysis. Where this does pinpoint an inbalance of your pool water, they will be able to offer professional advice and assistance in how to correctly balance your pool water. When taking a sample, rinse a container out with water from the pool a couple of times first, and take your sample from an arm’s length below the surface. Once the test results are back, your pool specialist will be able to advise you on whether to add any products, such as balancers or a stabiliser, to your pool in order to correct any issues found. How you clean (backwash) your filter will depend on what type of filter you have. Most types have a backwash function, whereas a cartridge filter will have to be washed manually. We have prepared a separate guide to the types of filter available and their service routines, you can access them here. To keep the pool looking at its best you may want to clean your pool’s tiles to give them that sparkly, shiny look. Simple baking soda, available from high street shops is a cheap and easy way to bring out their natural shine. Keeping your pool clean, clear, blue, and sparkling is much easier and cost effective than allowing issues and tasks to build up! If you do not have the time or energy to take care of your pool yourself, you should speak to a pool service engineer who will be able to advise on a managed pool service routine. To find a service engineer in your area use the buttons above or click here.